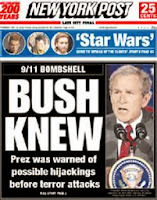 Tales from a tribble: Where Is The New York Post Headline Now? : "Obama Knew"
Now [Tuesday April 29, 2014] with Judicial Watch revealing e-mails they just obtained from Benghazi related State Department documents under the Freedom of Information Act in a lawsuit they won against the State Department, that the Susan Rice talking points were politically motivated and came right out of the White House, I thought appropriate to do this repeat Tales post from January 16, 2014. This from Hot Air: "Judicial Watch announced today that on April 18, 2014, it obtained 41 new Benghazi-related State Department documents. They include a newly declassified email showing then-White House Deputy Strategic Communications Adviser Ben Rhodes and other Obama administration public relations officials attempting to orchestrate a campaign to “reinforce” President Obama and to portray the Benghazi consulate terrorist attack as being “rooted in an Internet video, and not a failure of policy. You also probably remember Senator Hillary Clinton shamelessly holding the newspaper on the floor of the US Senate and saying in her own annoying screech: "Bush knew, Bush knew what?" 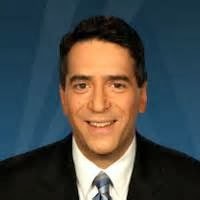 Now we have the smoking gun report from James Rosen, reporter deluxe of the Fox News Channel, reporting that testimony from recently released secret documents from the Senate Armed Forces Committee reveal that president Barack Obama was told from the get go that Benghazi was a terrorist attack on the American compound which would ultimately [with no help given by the Obama administration] lead to the deaths of Ambassador Stephens, Sean Smith, Glen Doherty, and Tyrone Woods. "Senior State Department officials who were in direct, real-time contact with the Americans under assault in Benghazi have also made clear they, too, knew immediately -- from surveillance video and eyewitness accounts -- that the incident was a terrorist attack". To read the whole report from James Rosen click here. Most conservatives have known all along that the President of the United States knew that Benghazi was a terrorist attack and deliberately pushed a false narrative of a spontaneous attack from a group of citizens who were mad at an American's U Tube video "denigrating the prophet Mohammad" [sic] because he didn't want the true facts to come out before the presidential election that was just weeks away. Now with this report from James Rosen and the report that just came out today [Wednesday] from the U.S. Senate, we have been proved to be right all along. The president of the United States could have cared less about the Benghazi four patriots because he had an election to win. Barack Obama not only lied about the attack from the beginning, but he and his administration carried on a cover-up for weeks, and did so with his willing accomplices in the main stream media. Now Barack Obama has the nerve to call this a "phony scandal." Four dead Americans [that a bipartisan Senate report that just came out today could have been avoided if the Obama administration had provided the security requested] and this president calls this a phony scandal. That should make every decent American sick to their stomach. Or maybe we should see that headline in the New York Times but we won't because they have been revealed to be the deceitful scoundrels they are, as just two weeks ago they released their big investigative report where they concluded there was not an Al Qaeda affiliated terrorist attack but a mob attack that occurred because of the U Tube video. That bogus investigative report by the New York Times would shame any legitimate news organization. So, they probably will feel no shame. No, there will be no New York Post headline now. The American jury speaks: Guilty! I would still like to know who the President ordered to protect the ambassador. If he ordered it as he claims, but no one did it, that person has much to account for. And why isn't the President angry about it? Especially after claiming Sept 10th that preparations for Sept 11 had been made! What were they? What assets were in place and why weren't they used? To me his lack of anger reveals that he never really did give a damn..harsh statement about the president of the United States but I truly believe he worried more about his re-election at that time then the lives of Americans in harms way. and this involves four dead Americans...to not care about that is sickening for a president of the United States. Thanks Ila. Very helpful information particularly the last part :) I care for such information much. I was wondering about the same thing and I am pretty sure there had been a serious situation. The politics has never been a thing for every person to stand from the very deep. Headlines of New York Times have been made attractive and enduring for the viewers. All the patterns of the headlines ache been chosen from the patterns of other televisions and news channels.